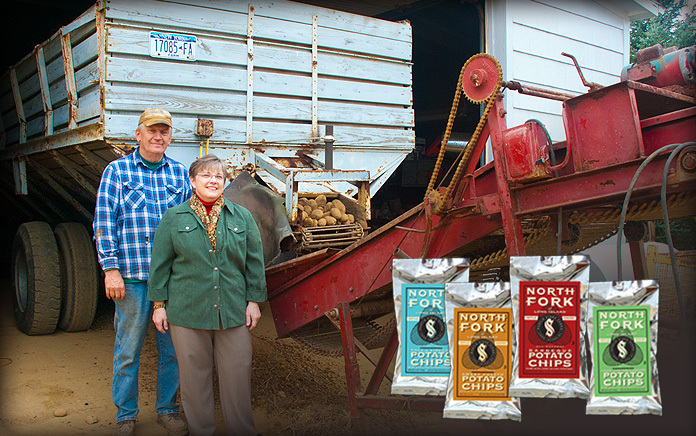 The story of North Fork Potato Chips goes all the way back to 1910, when Martin Sidor's grandfather started growing potatoes on Long Island's North Fork. In the 1970's, when Martin and his wife Carol took over the farm, times were very tough for small potato farmers. To keep the farm going, they came up with the idea of creating an all-natural potato chip cooked in nothing but pure sunflower oil. The result was the incredible product you can buy today.